Deere & Company (NYSE: DE) and Foot Locker, Inc. (NYSE: FL) are scheduled to report quarterly financial results on Friday before the market opens. Below is a look at what the Street and the crowd are expecting from the earnings calls. 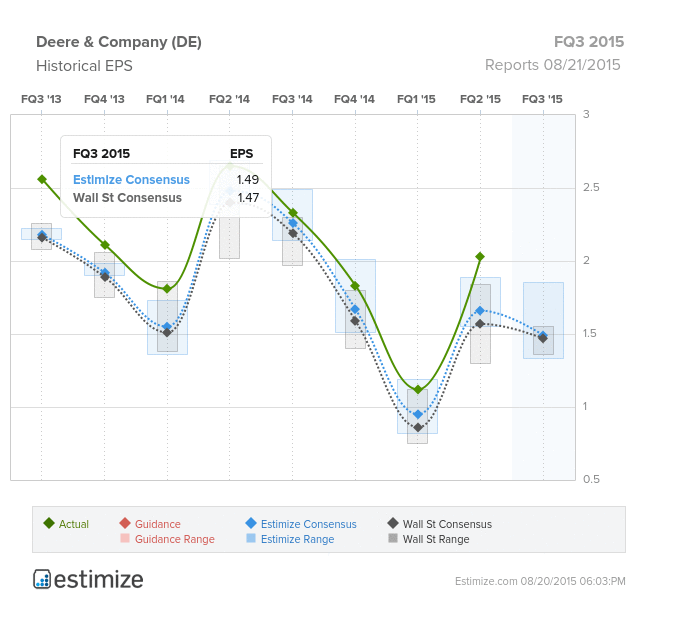 According to Estimize, Deere & Company is expected to deliver one of its weakest quarters ever. The Street is modeling consensus earnings of $1.47 per share on revenue of $7.129 billion, while the crowd is projecting consensus earnings of $1.49 per share on revenue of $7.158 billion. These estimates imply a year-over-year decline in earnings of at least 36 percent. In the same quarter last year, earnings came in at $2.33 per share, and revenue came in at $8.723 billion; in the last quarter, EPS reached $2.03, and revenue, $7.399 billion. 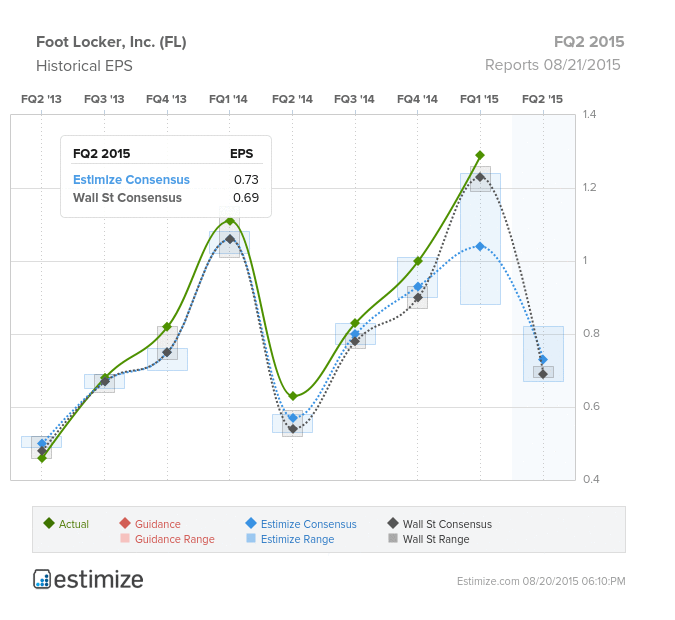 Foot Locker is expected to report a somewhat more decent quarter. Per Estimize data, the Street is anticipating consensus earnings of $0.69 per share on revenue of $1.664 billion. The crowd is slightly more bullish, and estimates consensus earnings of $0.73 per share on sales of $1.671 billion. While these figures would imply a considerable increase from the EPS of $0.63 (on revenue of $1.641 billion) reported a year ago, they would still involve a decline from last quarter’s EPS of $1.29 on revenue of $1.916 billion. On Monday, analysts at Canaccord raised their price target on the stock from $72 to $78, anticipating that execution could drive ecommerce platform productivity gains.